When you log in to the My Account section of the South Central Power website, you’ll see a new look, new features and a better member experience. 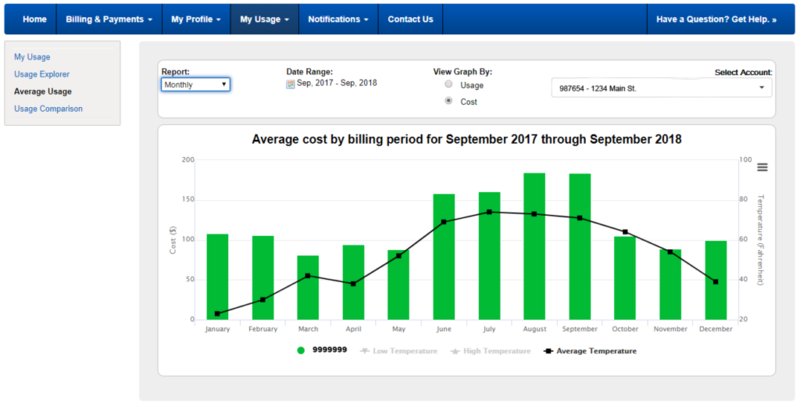 In addition to paying your balance and viewing your bill, you can now analyze and understand usage trends, access budgeting tools and much more. You also can set up recurring payments and view your billing and usage history. You can add multiple accounts, make service requests and report outages. You also can sign up for email or text alerts. The site is located in the same place as the old site, so when you’re on the South Central Power home page just click on the words “My Account” in the upper right corner of the page. To create a new account, you’ll need your account number, last name or business name, and an email address. If you previously created an account, you will need to log in using the email address associated with your account and your current password. If you need assistance, give us a call at 800-282-5064 Monday – Friday, 8 a.m. to 5 p.m.
What’s new with South Central’s phone system? On Feb. 4, South Central Power updated its phone system. Now, when you call to make a payment, you’ll hear new prompts, as well as new features and options. New security features mean you’ll need to create a PIN number to use with transactions, and you’ll also need to have available the last four digits of your Social Security number. The new system also allows you to store a payment method if you wish, speeding up the process of making future phone payments. How do I create my PIN for the phone system? Call us at 800-282-5064 and select option #2 to manage your account. Then, select #3 to set up your PIN. You’ll need to remember your PIN for future transactions. Why do I need the last four digits of my Social Security number? We use the last four digits of your Social Security number as a way to safeguard the security of your account. What’s new with South Central Power’s “My Account” website? South Central Power introduced a new and improved “My Account” site Feb. 4. 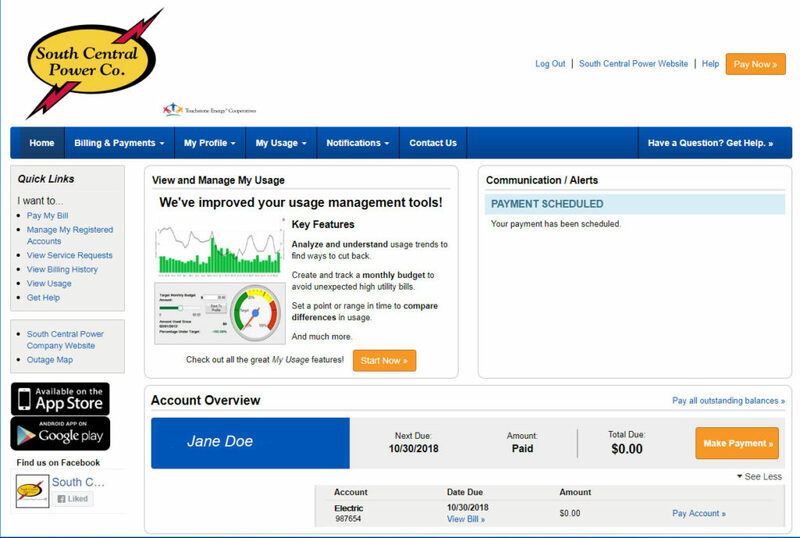 The new “My Account” has new and improved features, making it easier to pay your bill, sign up for services like auto pay, and view your energy use. Can I use my old account user ID and password on the new “My Account” site? We’ve phased out our old user ID, but you can use the email address you used to create the account along with your old password. What if I haven’t used the “My Account” area in the past? Click on the “New user” link on the “My Account” sign-in page. You’ll need the latest copy of your bill, or your account number and the amount of your most recent payment. To pay your power bill, start by logging on at https://southcentralpower.smarthub.coop/. Once you are logged on, click on Billing & Payments in the top navigation, or “Pay my bill” in the left menu. You can pay using a credit card or checking account number. 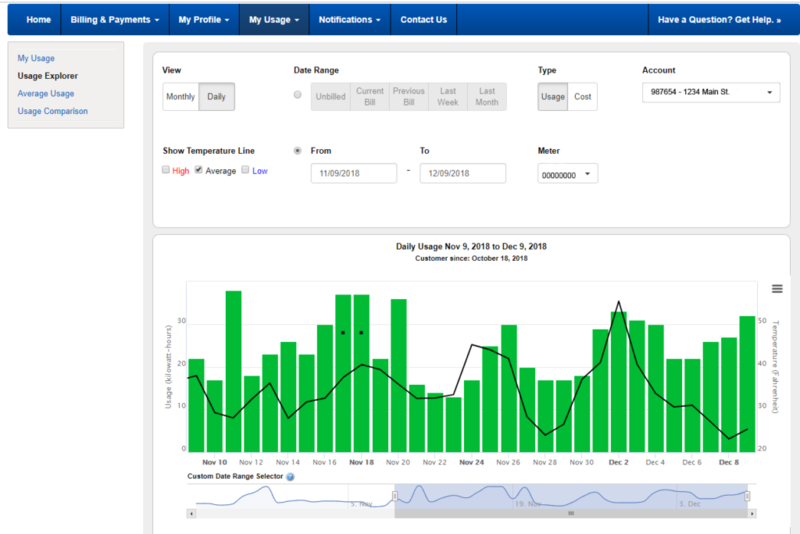 To view your daily or monthly energy use, start by logging on at https://southcentralpower.smarthub.coop/. Once you are logged on, click on “My Usage.” You can selection a date range, and toggle between your daily and monthly usage as well as compare against other timeframes.